Do you want to change your screen’s brightness setting? You can easily adjust the screen’s brightness manually, or make it adapt to the surroundings. Go to Settings > Device > Display > Brightness. Do you want to enable or disable the automatic screen rotation? 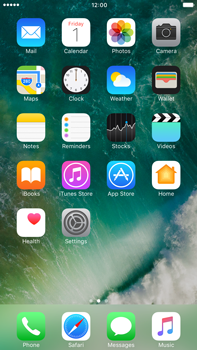 By default, your display will rotate when you tilt your device. You can disable this. Go to Settings > Device > Display > Auto-rotate screen. Many problems can be solved by performing a so-called ‘soft reset’. None of your data will be lost when you do this, but all active apps will be closed and your Apple iPhone 7 Plus will be rebooted.